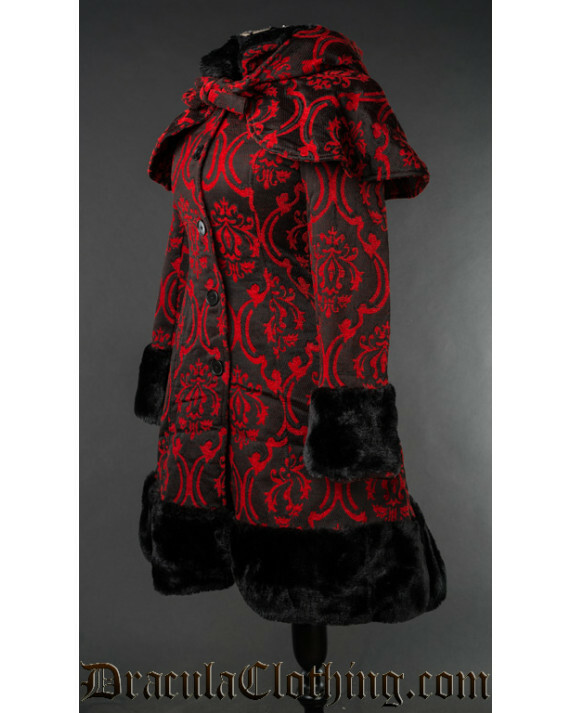 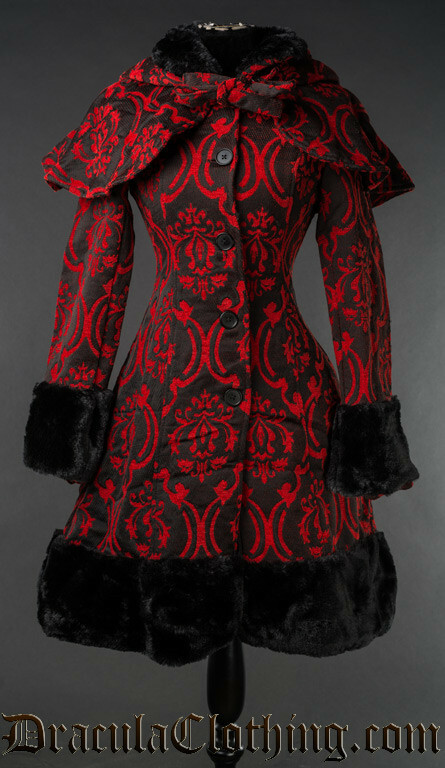 This winter coat is made of a thick cotton brocade fabric and has a polyester lining. 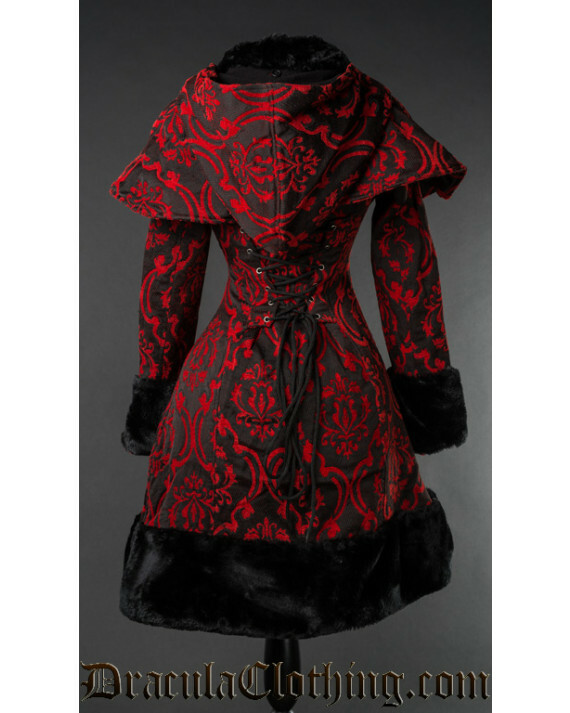 It features a detachable hood and cape, and soft faux-fur details. 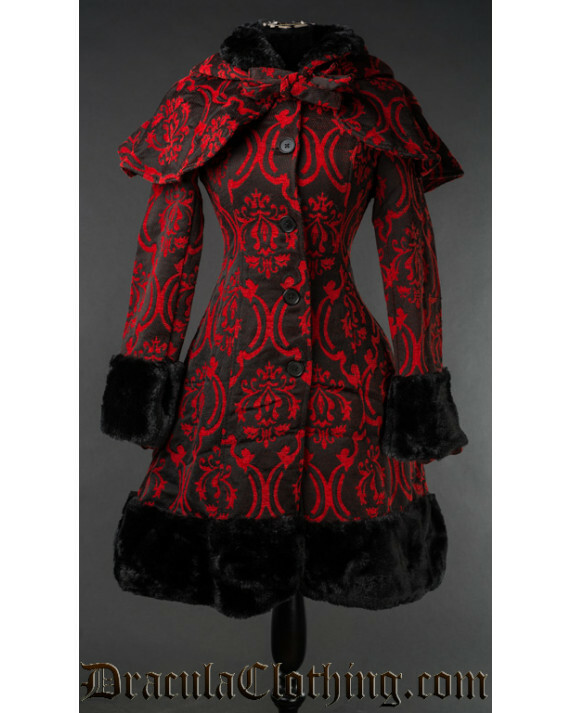 The size chart is located at the bottom of the page.